Como utilizar o Active Sync no computador em módulo Colibri? ActiveSync is a data synchronization protocol developed by Microsoft to enable users of mobile and handheld device to synchronize their data with the desktop computers. ActiveSync can be downloaded for free from Microsoft. ActiveSync doesn't work on Windows 7. 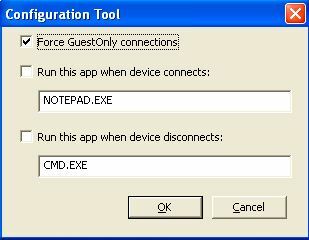 There is a successor of ActiveSync called Mobile Device Center which works on Windows 7 and is able to connect to a Windows CE device. An ActiveSync connection is usually made through a regular USB cable (PC=host, Colibri=client), but can also be established through a serial port. How to establish ActiveSync over serial port on Colibri SoM? Navigate to Start Menu, click on settings and open Network & Dial-up Connection. Establish a new connection with a relevant name like “CoM1 ActiveSync” while selecting the Direct Connection option. Click on the Next button and accept the default settings. Go to the Control Panel and open the PC Connection View, change your connection to the new connection (CoM1 ActiveSync) which you established in the previous step by clicking on the Change button and selecting the relevant connection from the dropdown. Go to Run item in Start menu and then run "repllog.exe". The device should then attempt to connect to your PC and the ActiveSync status should turn green. Make sure ActiveSync has the connected CoM port enabled on your Workstation. Once the connection is successful, ActiveSync will prompt asking if you want to establish a partnership. How to disable ActiveSync Connection? The ActiveSync connection can be disabled through the Windows CE control panel. Alternatively, the similar setting can be configured in the registry. How to disable ActiveSync pop-up window?